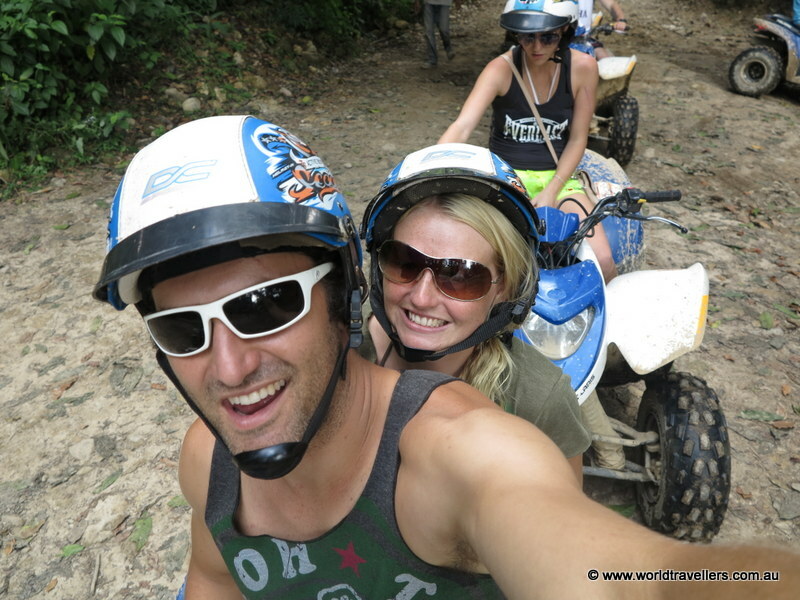 After recovering from our new year celebrations, we were up early and collected for today’s triple tour – white water rafting, ATV tour and elephant trekking. On our tour bus there was the 4 of us, a group of South Africans and a Chinese family. 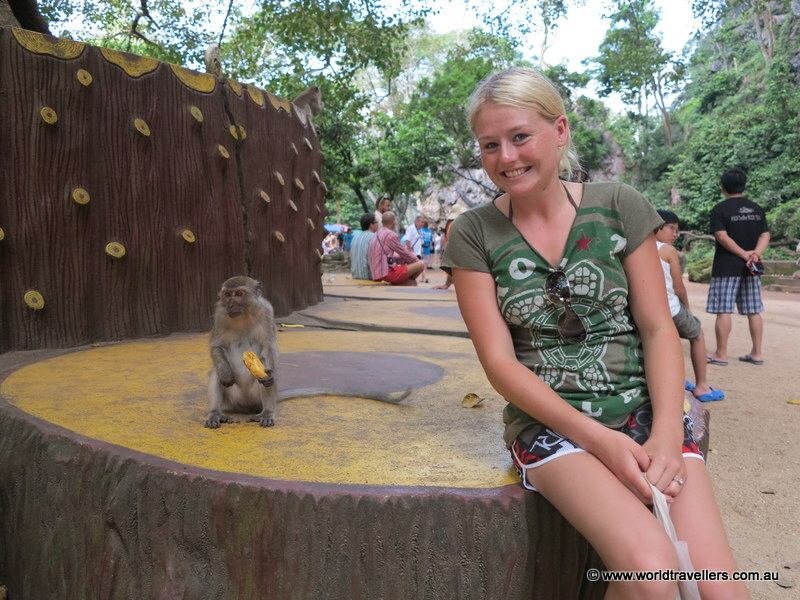 Our first stop was a park filled with monkeys, they were everywhere! 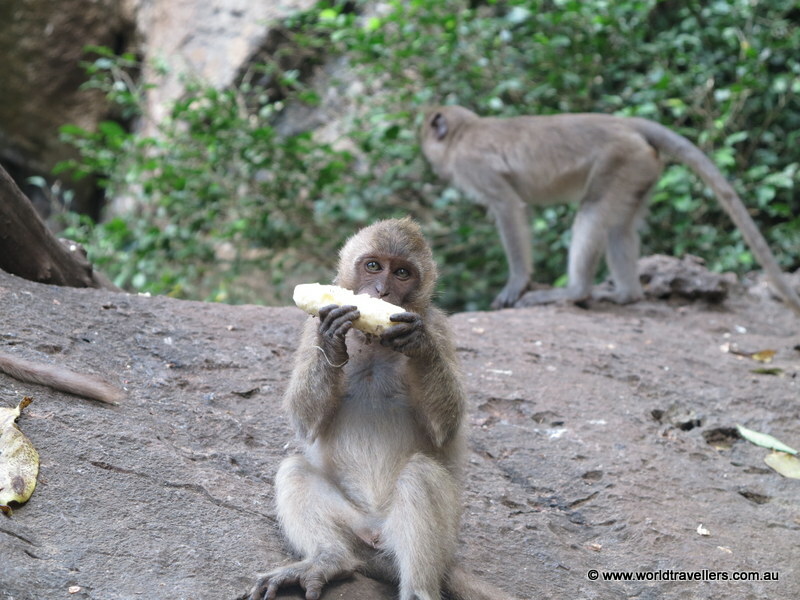 We bought a bunch of bananas and spent half an hour feeding the hungry creatures. 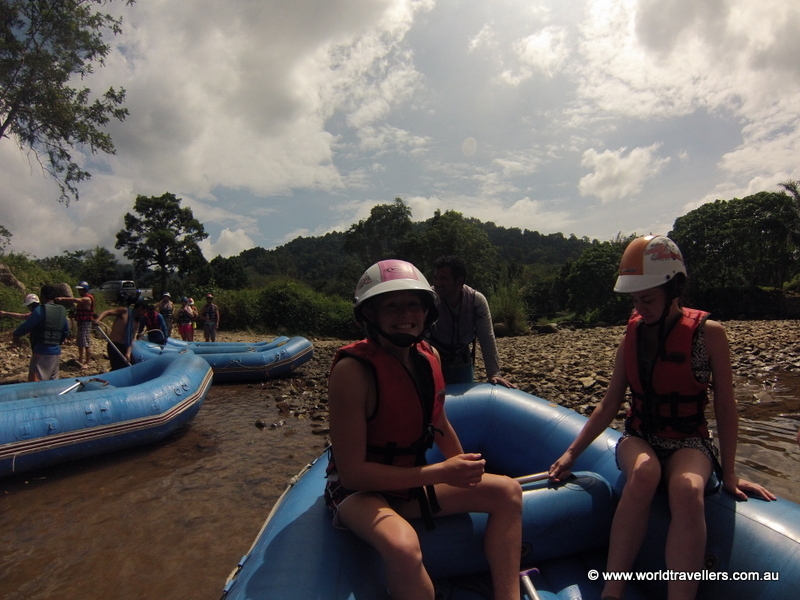 Next was white water rafting, it was really good fun, except because we paid for a cheaper tour we started halfway down the river. This meant that we had to wait about 15 minutes for the water to come down and we pretty much joined another group. 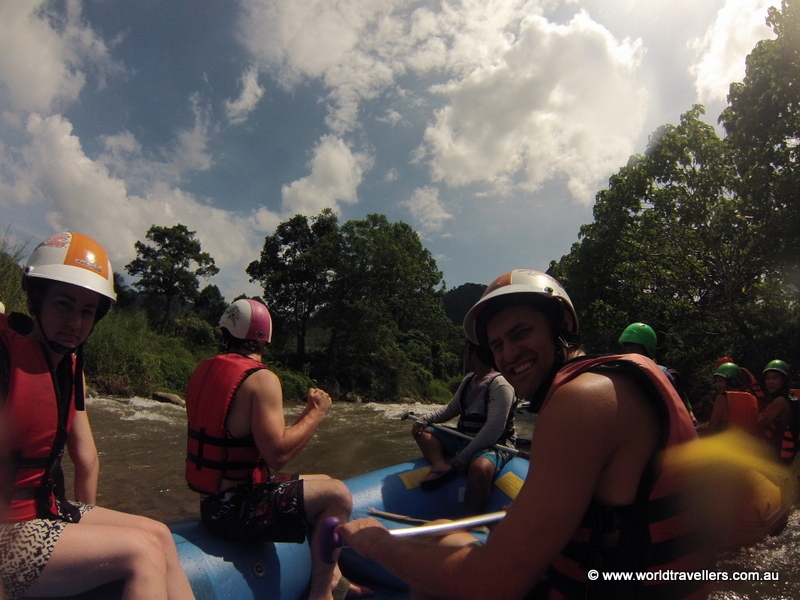 After white water rafting we were taken to a local restaurant and served a yummy Thai meal of chicken and curry. The South Africans didn’t trust the food so didn’t eat anything, oh well more for us! 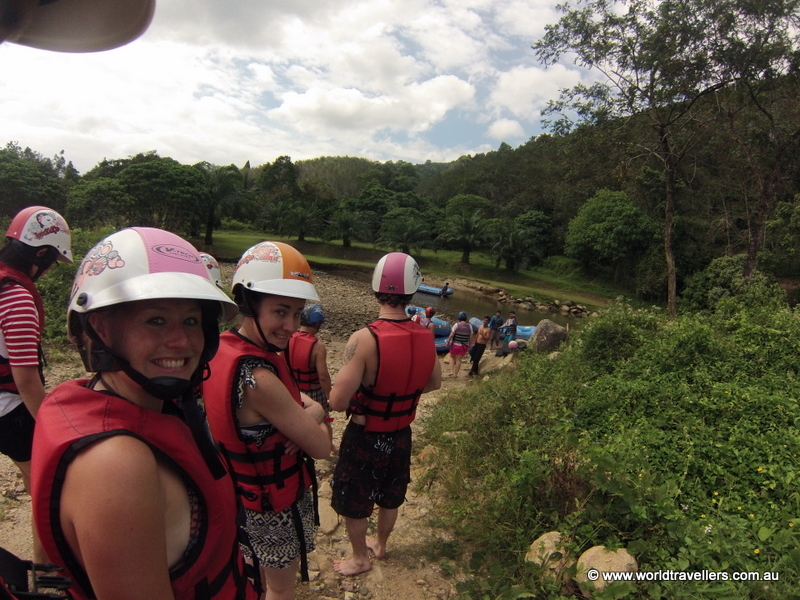 We then waited about half an hour for the elephant trek. 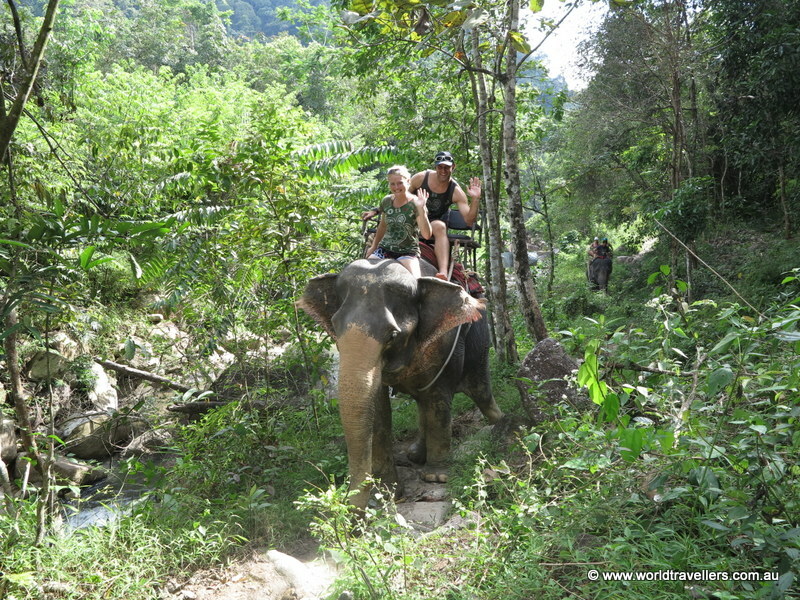 It was a different experience to the last elephant trek we did, but was still good. The forest was quite steep and there were creeks that the elephants enjoyed splashing around in. The ride went for around 30 minutes, the scenery was really nice and our guide let us ride up front on the elephant. 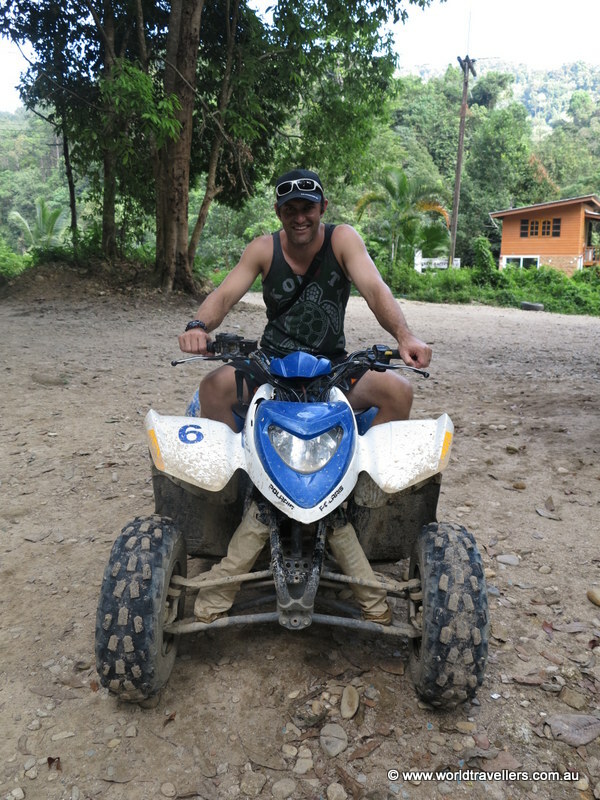 Our final adventure for today was an ATV tour, we had the option to have a quad bike each or share. We decided to share as the charge for any damage was ridiculous and knowing me I would most likely have broken something. Getting back dirty and tired, we went out for some Japanese cuisine and relaxed to a movie.